I had been blogging for one week when I arrived at BlogHer ’08. I didn’t understand the terms describing the sessions, didn’t know I needed a ticket beforehand, didn’t know that even banging on the door wouldn’t get me in. I also didn’t realize I was an outlier. 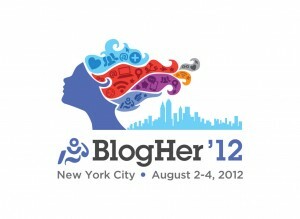 Not just at BlogHer itself, but in the world of blogging. Though I discovered some other bloggers considered “mid-life”– I thought I might be the oldest person in the entire blogosphere. I didn’t think much about the age thing, as I went along blissfully blogging. Though people blog for many reasons, there seemed to be so many young moms with blogs. For my generation, sharing on the internet wasn’t in our comfort zone, but still, I would sometimes wonder: why are young moms just listening to each other? Don’t they realize that the best people to teach them about raising children are people like us, who have already done it? And why aren’t more of us blogging? That was four years ago. Since then, so much has changed. Blogs are everywhere; written by everyone, every age. Baby boomers are online like everyone else; even Facebook is dominated by an older demographic. Some things haven’t changed, though. For all we might be able to teach younger women about life, there’s plenty they could teach us. The mom bloggers became a powerful force using the power of their numbers—they banded together, they bonded; connecting and supporting each other. Women our age, who do those same things in our real lives, haven’t really done as much of the same things online. And there’s another thing that hasn’t changed. I don’t feel invisible; but many women do as they grow older. And the business of blogging, like everything else, has an age bias. The business side isn’t something I know much about, but I do know that companies and sponsors who court mom bloggers inadvertently or intentionally ignore our demographic. Which is confounding since our demographic has the most money. I brought up those issues in a post that I read onstage at last year’s BlogHer. 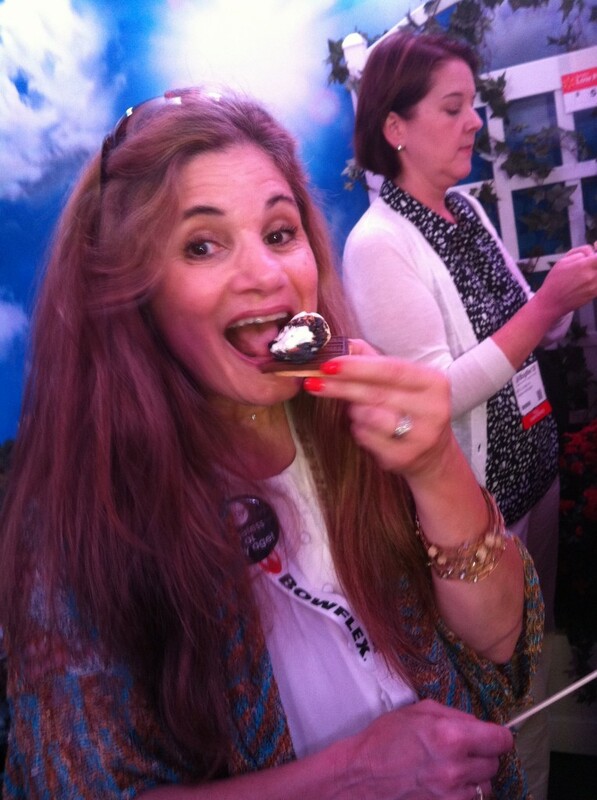 So I was kind of surprised—and satisfied– to see that at this year’s BlogHer, suddenly Age was on the agenda. There’s the new Boombox network, formed to bring together “older” (cough, cough) bloggers with sponsors interested in marketing to them. There’s a Facebook group for Bloggers over 45 that just formed to connect with and support each other. There was a session on the BlogHer schedule called Blogging into Mid-Life, filled with fabulous women who engaged our panel with a lively and honest discussion. Small steps, maybe, but significant—like Lanvin, which is using older women in their advertising. So hopefully Age has Arrived. Or at least, we’re banging on the door. I was one of the first of my age friends to have kids so I relied on older mamas to make me feel less crazy — thank goodness for them! I second the getting older instead of getting old. And I hope companies start reaching out to the 45+ demographic more — especially in 9 years. Haha. Just kidding. Thanks, Alex; and all kidding aside, your little comment at the end touches on something really important. I think we need to change perceptions of aging in a huge cultural sense; and the key is people your age–and your attitudes toward people who are oldER (haha, not OLD) Glad u said what you did about older parents—I think if people your age change the conversation and how they talk or perceive age, you are paying it forward so 9 years from now, (or whenever you get there) things will be different. So glad to hear from you and glad I got to give you a hug in person! What a difference in just a year. Last year when you were one of the Voices of the Year, your post was like a song I longed to hear sung: We are Here!! We Matter!!! Thank you for the role you’ve played (so beautifully) in getting the blogging world to sit up and notice that we exist and we have something valuable to say. I think we haven’t banded together in the way that the mommy bloggers have to create a market force. I wonder if part of that isn’t because we all do middle-age so differently. Not that mommy bloggers aren’t doing it differently, but there is the common denominator of the child that levels the field. One of the things that floored me was when I was registering for BlogHer and noticed that the age cohort designations stopped at 45+. As though all women over 45 are the same. I think that says something both subtle and profound right there about how we feel about women as they get older. Once we’re past our fertility, and excuse me for being crass, but what I call our “fuckability”, it is as though we are just one entity. As though a 45 yo is the same as a 90 yo. Pfizer missed it with this one. The 20-something who took my little slip of paper obviously didn’t understand what I was saying. And what those who say that age is just a number miss is that age isn’t just a number. Age is health. Age is independence. Age is the ability to manage one’s own life. And ultimately, age is death. Sigh….. I’ve detailed the MidLifeBloggers/BlogHer experience elsewhere, so this time I’ll just say: there has always been the age bias at BlogHer that you describe, Darryle and Chloe. I suspect that if an analysis of the development of BlogHer as a business was made, one would find that someone decided to throw all their eggs in the MommyBasket very early on. The success of the Mommybloggers as a commercial entity is very much a function of BlogHer and their ad network; it didn’t just happen because a group of mothers got together. Hopefully, Boombox, et al, will be equally successful with us. The more we support each other and create a group that matters, the more we will be respected by advertisers. One thing we MUST do is utilize all forms of social media – not just blogging and Facebook – to promote ourselves. Twitter, Pinterest and Google+ all need to be taken seriously also. Didn’t realize BlogHer registration had a 45+ wasteland. Sheesh. Nice post Darryle. So great to have you on the Midlife panel at the conference. Thanks Chloe, Jane, and Lynn—obviously the whole age bias issue is bigger than the mom bloggers or BlogHer; and will take way more than we can do to change things. I do see lots of hopeful signs of change—and I think even small things like our panel, Boombox network, and what we do as individuals, all add up and hopefully will start to make a difference in the way we’re perceived. Thanks again for comments; and love that the Facebook group has brought so many more of us together. I mentioned the Facebook group since it brought a new group together. Still I have to say that personally, after four years of blogging and various platforms, my tendency lately is to do less i social media rather than more. 🙂 Still I’m really glad for the opportunity to connect with more women our age who are doing the same things–there’s way more power in numbers. Thanks so much for commenting, Sharon. Your post gives me an opportunity , tho off on a tangent, to praise the older women I come across everyday, here at my business place…women in their 70’s and 80’s who are writing, painting, commuting to work (to LA and back!) who are all fit and vibrant and thriving. And I am so grateful to know them, and know also, that while I may be turning into an apple doll, I may continue to thrive! Hmmm, if I were a writer……. 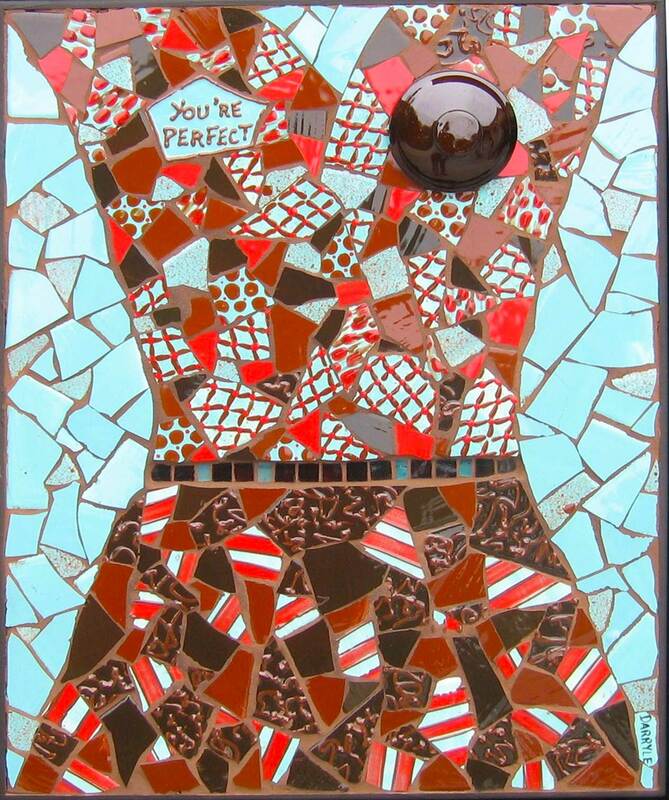 Found you via “More From BlogHer” – love it! I’ve never had a large readership, never seriously considered going to BlogHer. I realize in reading your post that in many respects subconsciously I was thinking that most of the bloggers there would be younger, wouldn’t feel they could relate to me and oh the horror – me to them. Hmm. Gives me something to think about. I wrote a post 0n 8/9 – about being happy to be 53 – coming into my own – FINALLY – at this age. I think we’ve (older – not old – ladies) got a lot to offer! Why is the blogosphere not aware of all the senior bloggers that have been toiling away for so many years? Not recognizing them only makes it easier to justify the myth that the internet is a young community and that most seniors are computer-challenged. Go to Ronni Bennett’s “Time Goes By” blog and click on her Elderblog List or go to her companion site “The Elder Storytelling Place”. TGB also has elder contributors covering specialized topics such as Gay and Gray, Elder Geek, Gray matters, Elderlaw, Eldermusic, and a Geriatrician. And I am forwarding your comment to TGB: “One of the things that floored me was when I was registering for BlogHer and noticed that the age cohort designations stopped at 45+. As though all women over 45 are the same. ” I’m sure that many of these elderbloggers will have something to say about that…and they will say it. Thanks Gayle, love hearing about women like this! It’s SO inspiring; and something all of us can aspire to. Great role models. Glad you found me, Katie—and thanks so much for commenting. I agree we’ve got a lot to offer; despite the negatives, I’m always shaking my head at the good things I’ve discovered the older I get–so much freedom to do and be whoever and whatever u want. At BlogHer I don’t want to give you the wrong impression—the overwhelming majority of attendees are younger—but I’d still recommend going. There are more of “us” every year—and I have to say I LOVE being around the younger bloggers–I get so much from knowing them. Plenty of them are very welcoming and very interested in knowing women our age! I’ve felt different, but not excluded and truly enjoy the relationships. Thanks for commenting. Hi, found you on the 40+ blogger list! I live in Chicago where there are always lots of blogger events and I am hands down the oldest at probably 95+% of them but the funny thing is most of them are shocked when I tell them my age and that I have an 18 year old. But as I read a lot of the younger bloggers blogs I am actually glad that I started blogging after I reached my 40’s, when I was way beyond set in my “your opinion means nothing to me” life mode. i feel so conflicted – on the one hand, i am older (51) – on the other hand, i have an elementary school aged child (8). very betwixt and between.